The summer is coming to an end, unfortunately, but August brings some very fun events to celebrate such as the beginning of a new school year and fall. August also brings some very special holidays that often get overlooked – National Girlfriends Day and Friendship Day! Celebrate friendships and cherished memories with a handwritten, personal note this National Girlfriends Day. Friendship is a very simple kind of relationship to maintain. A casual dinner or a quick coffee once a month with a BFF may be all we need to feel like ourselves again. Friends touch our hearts and our adventures together create one of a kind memories that feed our souls. And what would we do without our friends? We go to them for advice or for things that we can’t Google. We laugh with them. We cry with them. We stay up all night studying with them. They help us through bad times. They celebrate with us during good times! They get us. They get us at times when we do not think anyone will ever understand. 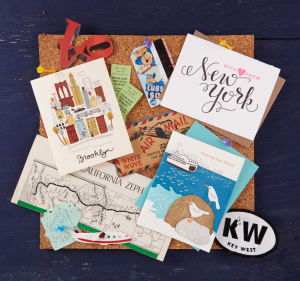 So what is a better way to show your kindred spirit appreciation than with a handwritten card? Let them know how special they are to us or remind them you support them. We are not obligated to our friends. We get to choose whom we are friends with. It is our choice to get in or get out so let’s all celebrate friendship by sending some snail mail. Let Sent-Well help you send the perfect card to your BFF! We take the utmost care sending cards on your behalf and we’ll handwrite a note inside of it for you. Do you have an occasion coming up? Try our Occasion Reminers – you’ll never lose track of those important dates again!